Some of you may be new, but many have been following MCS for years. For those who wondered what happened to Moderncombativesystems.com and for our new followers, let me give you some background. My name is George Matheis, better known through out the years on various knife, gun, and tactical forums as "mercop". I believe it was around 2004-05 that I started what began as a vanity site called "mercop.com", On mercop.com I wrote about my thoughts on mindset, training, and tactics. People always ask what mercop stands for, well at the time I was a police officer for a municipal agency in northern Maryland on Rt 40 between Baltimore and Philadelphia. After being involved in a fatal shooting in 2000, I was not happy with the way my fellow officers and I were treated after the shooting, or the training I had received that was supposed to prepare me for the shooting. Mercop stands for "mercenary cop", which to many will result in a knee jerk reaction. Let me explain. When I started in law enforcement in 1991 as an MP in the US Army, I took the beliefs of honor, courage, and loyalty that they taught me and added it to my strong personal belief system that my family had given me. After several years of civilian law enforcement, I discovered that these virtues were non existent except on paper. That realization, in addition to my post shooting experiences, led me to believe that both good cops and good soldiers may carry their belief system with them, and not expect their command to share it, inspire it, or promote it. And like a good soldier, a good police officer should always be able to find work, and to each mission he takes his beliefs with him, so in that way he is a mercenary. 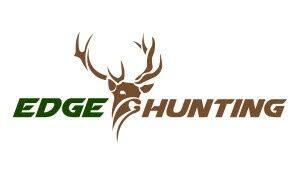 After seeing how popular my writings were with some people, I took it a little more seriously and the site went from mercop.com to greenlighttactical.com. While it was Green Light Tactical, in the aftermath of my shooting, I began to question everything I knew about interpersonal conflict and the way we trained for it. 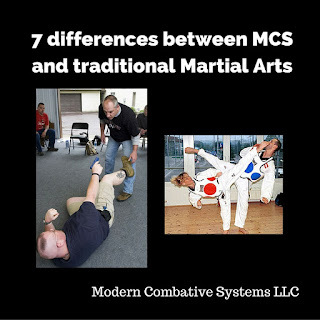 As I began to build my own system, I called it the Modern Combative System, and eventually the name of the site was changed to moderncombativesystems.com. 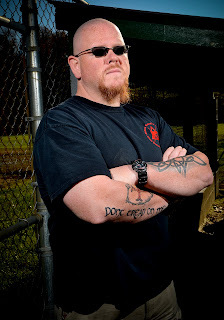 In 2007, after nearly two decades in law enforcement, I retired and found Modern Combative Systems LLC. Since then, besides our excellent citizen following, we have provided training for the US Air Force DAGRE (Deployed Aircraft Ground Response Element), Maryland Department of Corrections Special Operations Group, Indiana Department of Corrections, as well as presenting Spontaneous Attack Survival for Law Enforcement at the 2011/12 International Assosiation of Law Enforcement Educators and Trainers Conference, and the 2011 American Law Enforcement Firearms Instructors Conference. One day this last spring, I noticed that moderncombativesystems.com was down. Long story short, the domain name and hosting was done under a close friend of mine that was my Ju Jitsu training partner for several years. Try as I might, I was unable to contact him. Eventually, I learned that he was basically a missing person. During this time, my domain name had expired and became available and I was unable to retain it. For those of you who are newcomers, that site and blog were full of information on everything related to personal protection and preparedness, as well as dozens of gear reviews. It was all lost. So, here we are starting over. We are a Mom & Pop company, supported by an incredible network of adjunct instructors, subject matter experts, and friends.. I do all the writing, marketing, lesson plans, and teaching. My wife Lisa, AKA "She who must be obeyed," does all the proof reading, accounting, internet sales, and class registration. The first is to provide professionals and citizens defensible, repeatable, principle based training allowing them to manage interpersonal conflict. The second is to serve as a conduit of common sense, reliable information for all things related to personal protection and preparedness. Whoa! Thought you were gone there for a minute Mercop! Glad you're back!